Welcome to Jennifer Gell Music. 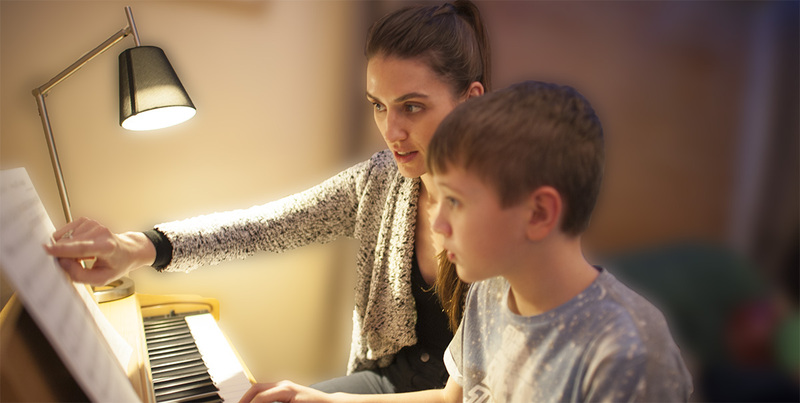 I am a Brighton and Hove-based piano and flute teacher. I am incredibly enthusiastic about teaching music, and love to work with people of all ages, standards and backgrounds. Whatever your reason for learning music, whether preparation for graded examinations or purely for enjoyment, I am happy to help. I tailor my teaching style to suit each of my pupils' needs and tastes in music. I am available for beginner and intermediate level piano lessons. I offer relaxed and motivational lessons which are fun and creative, and I welcome pupils of all ages. I welcome pupils of all ages and abilities for flute lessons. I aim to instill confidence and musical understanding, as well as encouraging creativity and exploration. I can help pupils prepare for ABRSM and Trinity graded examinations, as well as teaching casual playing in various styles. I am available for private tuition in Music, from GCSE to University level. I am happy to help prepare students for university interviews, including OxBridge applications and interview techniques. Musical Instruments Power The Brain! Watch this TED talk and see how learning to play a musical instrument supercharges your brain. Why your child should take Music lessons. The primary reason to provide your child with a musical education should be to help them become more musical, to help them to appreciate all aspects of music and above all, to respect the process of learning an instrument. However, there are multiple benefits to introducing a child to music. There has been a vast amount of research into the effect of music on the brain. Studies have shown that listening to and playing music can help to stimulate the brain, facilitating cognitive skills and development in not just Music, but in other subjects too. Whilst engaging with music (whether learning, listening or playing), children are tapping into multiple skill-sets, often simultaneously. Children who learn a musical instrument from a young age are at an advantage and often outperform their non-musical peers in reading comprehension, understanding basic mathematical concepts, speech and vocabulary, memory capacity, hand-eye-coordination and spatial-temporal reasoning. Furthermore, the time and effort taken in learning a musical instrument instils perseverance and self-discipline in children, as well as increased cooperation and listening.